Today I experienced my first ever fish-love. 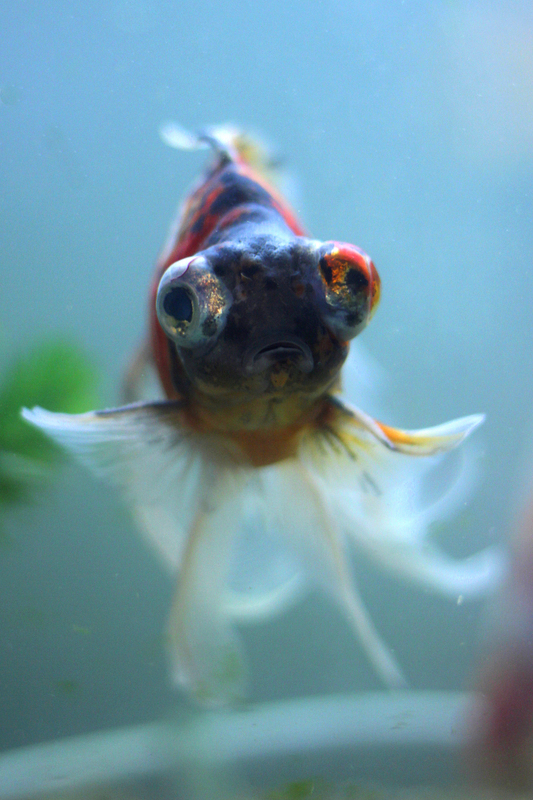 I know she isn’t a human, but she DOES have a face and she DOES live in Cornwall, so I would like to introduce you to this fish called Puff. She once lived with a stupid boy who fed her Cannabis Sativa before she was rescued by the Goddess of Fish, Alice Mary Mitchell. Now she swims wonky and is blind in her most colourful eye. Sometimes she spaces out at the bottom of the tank when all the other fish are having a nice time, and sometimes she bumps into things. But she’s happy now, despite her sad face, because Alice feeds her pea insides.